The luxury accommodations at The Landing Resort & Spa are as diverse as the Lake Tahoe landscape surrounding them. Woodsy and warm, yet opulent, chic and appointed with every creature comfort imaginable. Think rustic plaid rugs and comfy leather armchairs parked invitingly close to stone fireplaces. Plush pillow top beds buried under crisp, white linens and goose down pillows and comforters. Carved woods balancing smooth granite, with chrome and crimson creating eye-catching accents. Modern luxuries in the form of LCD flat-panel televisions with DirecTV and premium HD channels, heated bathroom floors and Keurig coffeemakers. Yet with all this, the views are the star of the show. Our prime waterfront location on the South Lake Tahoe shoreline allows for breathtaking sightlines throughout the day and into the night. During the summer months, The Landing Resort & Spa is one of South Tahoe’s premier lakefront locations perfect for travelers who desire a vibrant and active destination hotel. For those seeking a quiet Lake Tahoe retreat, we recommend spring, fall and winter visits. Accommodation rates and availability are based on season and occupancy, and are subject to change. All rates based on single or double occupancy. Some restrictions apply. A $35 per day Resort Fee includes valet parking, high-speed wired/wireless internet access, Fitness Center (includes steam/sauna/pool/whirlpool) and beach passes. There is a $35-per-day fee for an extra bed in guest room. At The Landing Resort & Spa, our Garden King guestrooms offer generously proportioned Lake Tahoe accommodations in a desirable corner location. Private balcony with forest view. Exterior hallways offer easy access to adjacent Lake Tahoe beach. 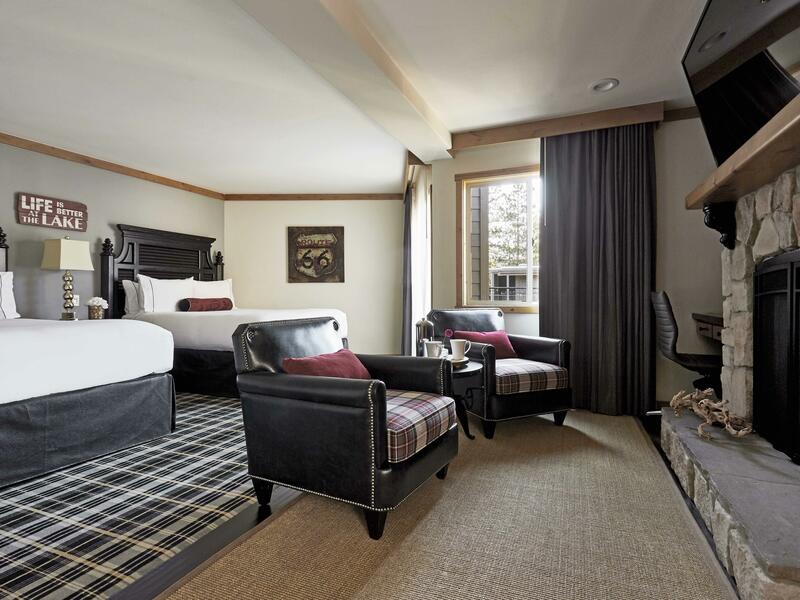 Experience Tahoe's newest and most luxurious lodging and resort spa. These intimate luxury hotel rooms offer views of Lake Tahoe and a private patio with seating area. 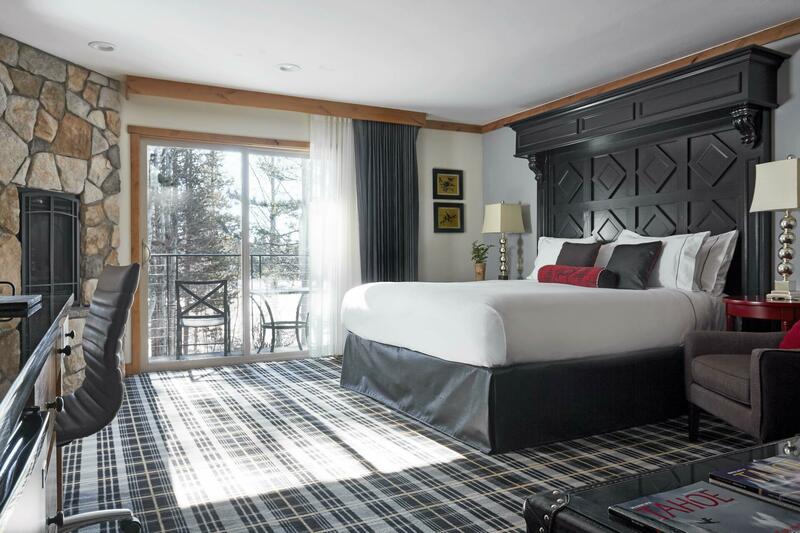 The Landing Resort & Spa is a family owned boutique hotel in South Lake Tahoe that offers exceptional accommodations and amenities with the region's highest guest service levels. 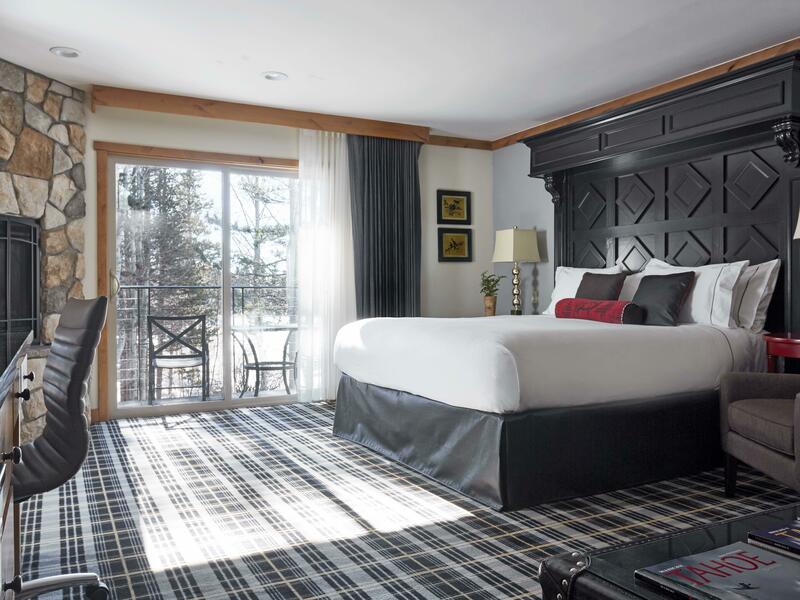 Our signature guestrooms afford awe-inspiring vistas of Lake Tahoe - even from the comfort of your California king-sized bed! All rooms feature an upmarket décor with thoughtful design touches. An oversized private balcony provides striking views of Tahoe’s cobalt blue waters. The ultimate bridal, honeymoon, or anniversary suite. 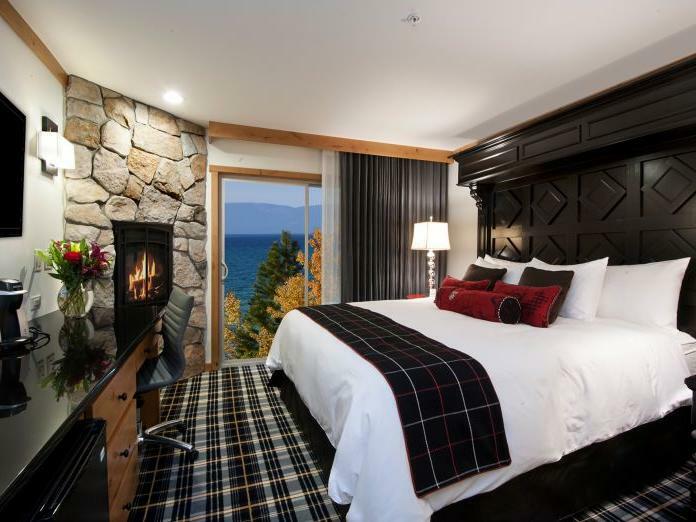 Premium Rooms at The Landing Resort & Spa offer spacious accommodations just a short walk from the shores of Lake Tahoe. A generously-sized private balcony offers comfortable outdoor seating. 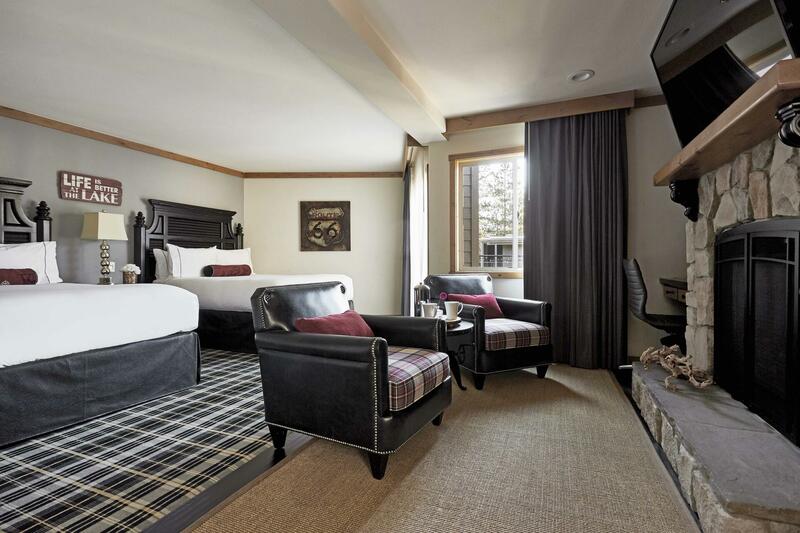 Our Premium Rooms offer a sophisticated Lake Tahoe accommodation option for discerning travelers. This Lake Tahoe suite offers exceptional space that will comfortably accommodate your whole family. 3 bedrooms, 2 baths. The inviting living room includes a fireplace and comfortable leather seating. Full kitchen with range/oven, and microwave. Granite countertops throughout. 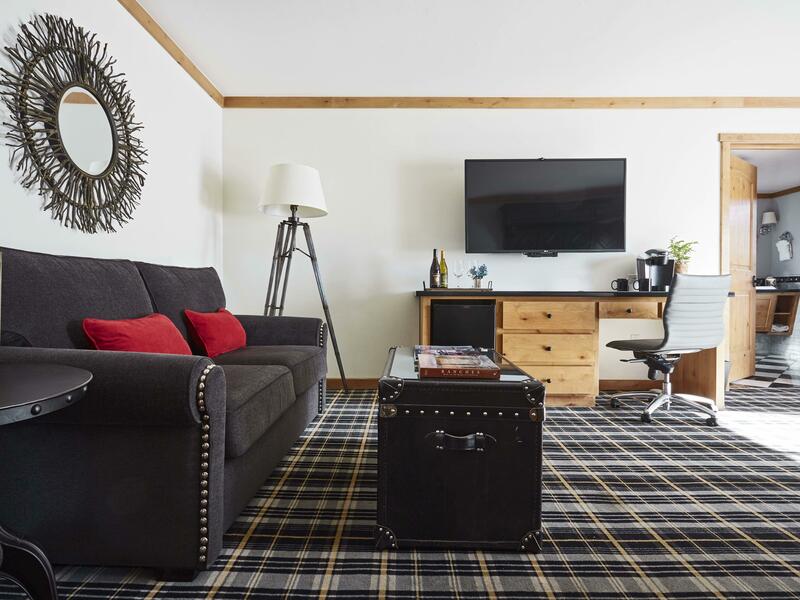 Whether you're planning a Lake Tahoe family reunion, wedding party, spa retreat or another getaway, The Landing Resort & Spa in South Lake Tahoe is the boutique hotel for you.